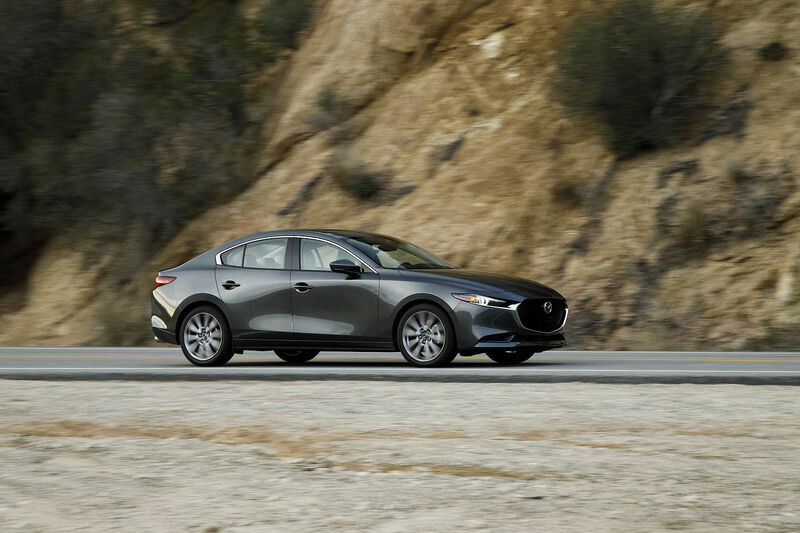 You may have seen the ads or read the most recent reviews of the brand new 2014 Mazda 3. After all, rarely has a car garnered so much attention in so little time. You may have seen the ads or read the most recent reviews of the brand new 2014 Mazda 3. After all, rarely has a car garnered so much attention in so little time. Of course, the Mazda 3 is an important vehicle in Canada and has been since the first generation launched in 2004. This year, Mazda has completely redesigned the 3 and made it more powerful and more eco-friendly while preserving the model’s sporty personality that has made it such a success story. The big change in 2014 is the exclusivity of Skyactiv technology which is now available on every new Mazda 3. For those that are not familiar with Skyactiv, it is a host of improvements that have been made to the engine, the transmission – manual and automatic – and the underpinnings in order to improve both efficiency and performance. 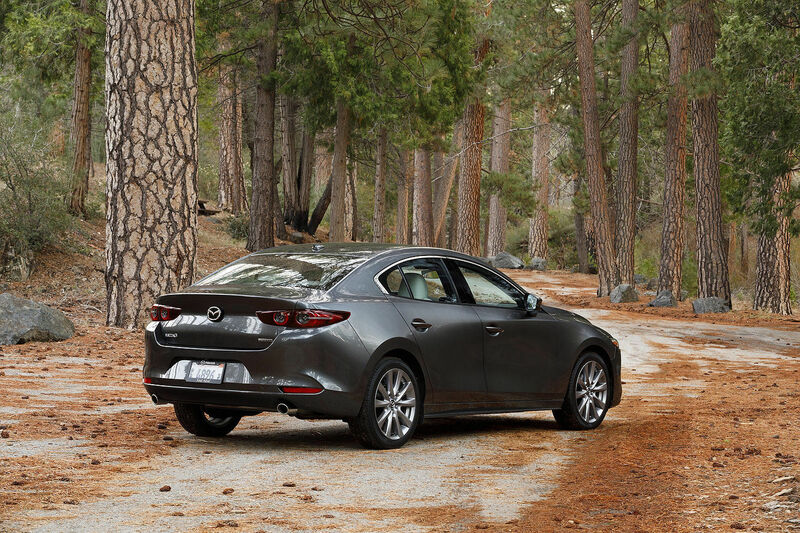 In other words, Skyactiv does not hinder the 2014 Mazda 3’s sporty personality and class-leading fun-to-drive factor, but it does make it more fuel-efficient and a thorough blast to drive. Shall we call it the best of both worlds? Two Skyactiv engines are found under the hood of the new 2014 Mazda 3. A 2.0 liter four-cylinder engine which develops 155 horsepower and 150 pound-feet of torque is located in the GX and GS models. When paired with the available automatic transmission, this engine offers an average fuel consumption of only 5.7 liters per 100 kilometers while models equipped with the manual gearbox average 5.8 liters per 100 kilometers. The top of the line GT model gets a 2.5 liter four-cylinder engine producing 184 horsepower and 185 pound-feet of torque while only requiring 6.1 liters of fuel per 100 kilometers. That being said, a Mazda 3 wouldn’t be a Mazda 3 if it did not offer sporty handling and quick, precise steering. This is how the model managed to outshine its competitors and gain an avid following of enthusiastic drivers for whom a compact car shouldn’t be boring. In that regard, the 2014 Mazda 3 is still a blast to drive while at the same time being more comfortable and quiet than the previous generation. As always, the new Mazda 3 will be offered in both sedan and hatchback variants. The latter, named Sport, offers 572 liters of cargo space when the rear seats are in place, and 1 344 liters once the seats are folded flat. The sedan’s cargo capacity is not too shabby either with 350 liters of available space in the trunk. Inside, the 2014 Mazda 3 offers a beautifully appointed cabin that is both spacious and user-friendly. The dashboard and center console have been redesigned and now boast a modern style that remains easy to use and understand. Mazda has also revamped the 3’s infotainment system which now offers even more functionality and connectivity features. Starting at just 15 995$, the 2014 Mazda 3 has kept everything that buyers loved about the two previous generations, while improving on looks, fuel-economy, performance and interior design. This is truly a beautiful car, but one that is also powerful and affordable, both at the dealership and at the gas station. Come see for yourself everything the brand new 2014 Mazda 3 has to offer today at Kentville Mazda!